Have you checked out the SocINDEX database? SocINDEX covers comprehensive coverage of sociology, encompassing all sub-disciplines and closely related areas of study. These include abortion, criminology & criminal justice, demography, ethnic & racial studies, gender studies, substance abuse, violence and much more. 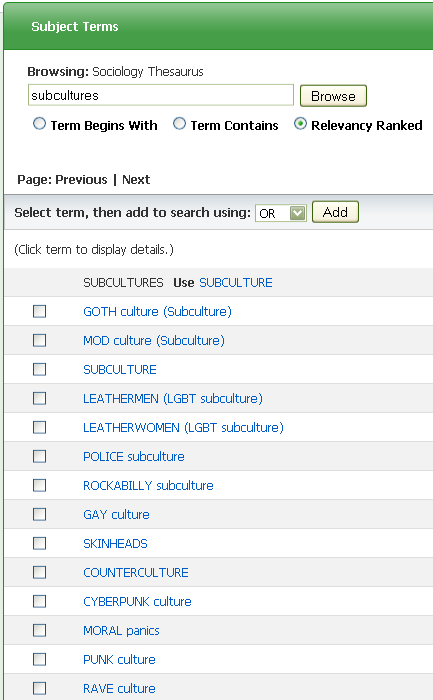 Click on the tab "Databases by Title"
Check the items that interest you and click the "Add" button and then "Search"
The database will now search for articles on the subjects of the checked items. You can then narrow down your search with additional keywords.